Each gemstone is so unique, and their differences are most apparent in the cuts, shapes, and sizes that they come in. An illustration of 18th century gemstone cuts. The cut, shape, and size of a gemstone are all very important characteristics that likely play the most crucial part in the aesthetics of a stone. 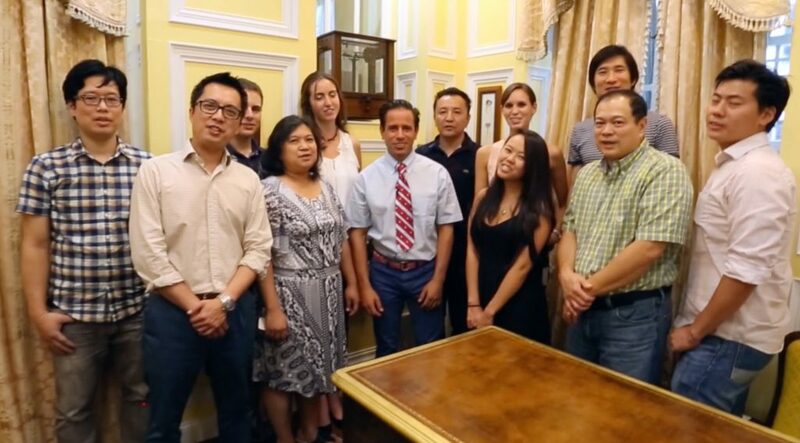 The personal choice options are abundant within these categories, and this can become the most fun part of the selection process. 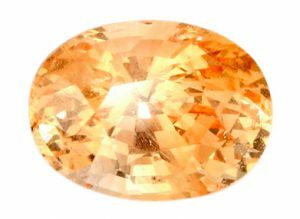 These aspects of a gemstone are also the most apparent when looking at a stone, and are the terms with which most people are incredibly familiar. However, there is still a significant amount of confusion around how cut and shape are different, yet work together and use the same language. Below, we will explore those concepts and terms, and provide clarity about these important gemstone attributes. Cutting gemstones is a process by which rough crystal is turned into the polished , transparent , and brilliant gemstones, as we commonly know them to be. This process also designates a specific shape for the stone. Both of these attributes – cut and shape – work together to perfectly enhance the color, clarity, and shine of the gem. 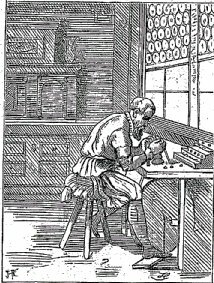 A sixteenth century lapidary – a person who cuts, polishes, or engraves stones. Gem cutters, known by the professional term lapidary, weigh all of the various considerations about each unique gemstone in order to choose the most advantageous cut and shape. The lapidary is most often seeking to enhance the best qualities, and diminish any perceived imperfections. Unlike a diamond, where color is spread uniformly throughout the crystal, as Benjamin Zucker states in his book A Connoisseur’s Guide to Gems and Jewels, “sapphire rough poses a great intellectual challenge to the cutter. Color often appears in greater concentrations in one part of the crystal than in other parts.” The cutter must orient the stone so that the most desirable color is reflected through the table of the stone. For every gemstone, the lapidary is seeking the best compromise between a beautiful appearance and the retention of size. An easy way to distinguish between cuts and shapes, and the relationship between the two, is that gemstone cuts differ in the size and amount of facets carved into the gem’s surface within each category of shapes. 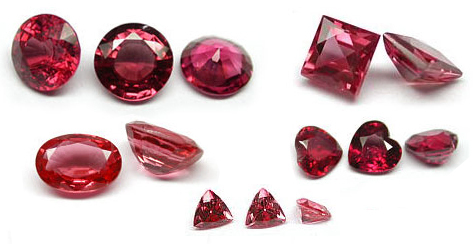 A selection of faceting styles for rubies. For example, the shape of a gemstone may be square, but the cut does not necessarily need to be a princess cut. The lapidary may determine that the features of the stone make it better suited for a radiant cut, an Asscher cut, or perhaps a cushion cut. While the cut and shape may be exactly the same (the pear-shaped gemstone will also have a pear cut), others have more flexibility. 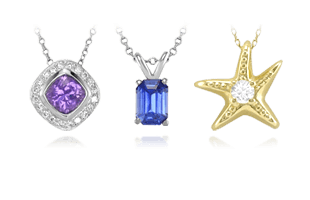 All standard shapes are represented within gemstones – round, square, rectangle, oval, etc. – and how firmly they stay affixed to these shapes will vary as they are cut. As with all elements of a gemstone, there are many options when considering a cut, and here we break down the most common for an easy guide. A platinum engagement ring with an asscher-cut diamond. Asscher Cut – a hybrid of the princess and emerald cut, the Asscher cut is characterized by a distinct X in the gemstone’s table, cropped corners, and step-cuts to maximize a gem’s clarity. The name of this cut is capitalized, as it is a proper name coming from the Asscher brothers who developed the cut in 1902. 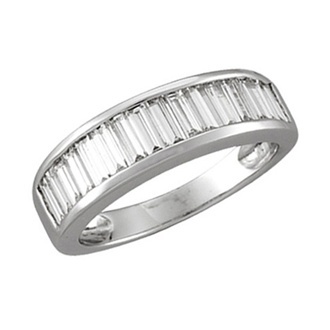 Platinum diamond ring featuring baguette cut diamonds. Baguette Cut – long and rectangular in shape, the baguette cut is popular for accent stones. This cut maximizes clarity with long step-cuts to create a modern, geometric look. A gorgeous cushion cut padparadscha sapphire. 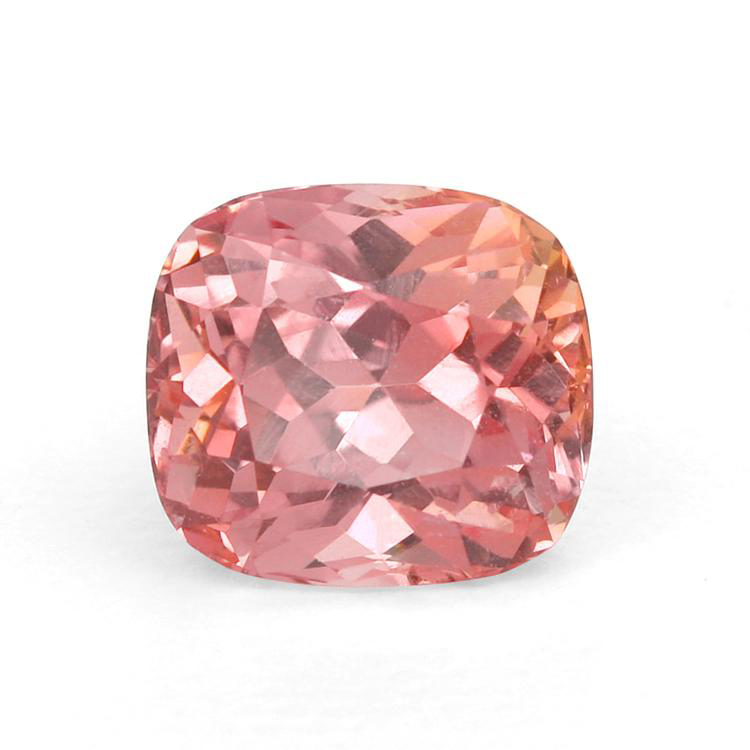 Cushion Cut – also referred to as a pillow cut because of the softness that the cut invokes, the cushion cut has gently rounded corners and maximizes the raw gem, while producing luster and brilliance. A Burmese emerald cut blue sapphire. Emerald Cut – originally designed to cut emeralds, the effect achieved with this cut is to emphasize the cut and color as color tends to show vividly with this cut. In this one, the shape is like a rectangle from the top with trimmed corners and light bounces brightly between the step-cuts. A marquise blue sapphire and diamond band. Marquise Cut – also known as the navette cut, the marquise is cut to reflect the most light and offer maximum sparkle and depth of color. Perfect symmetry for the two end points is essential to ensure the stone sits properly in the setting to minimize chipping or breakage. The epitome of a peach sapphire, as a brilliant cut oval with beautiful facets. Oval Cut – created in the late 1950s, the oval cut offers the brilliance and fire of round cut gemstones but in a more unique shape. The elongated silhouette also helps to create the illusion of a larger gemstone. 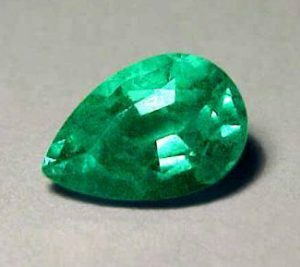 A pear shaped emerald gemstone. Pear Cut – resembling a teardrop, the pear cut reflects light beautifully and allows color to showcase dramatically. As with the marquise cut, symmetry is extremely important for the integrity of the gemstone, and they require a 6-prong setting to offer the correct support. 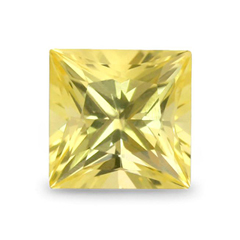 A 4ct yellow princess cut sapphire. 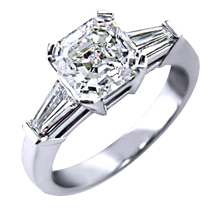 Princess Cut – this is the second most popular cut behind the round brilliant. A range of facets is acceptable in this cut, but no matter how many, it creates excellent sparkle. The square attributes of a princess cut also mean the gem retains more of it’s rough in the cutting process. 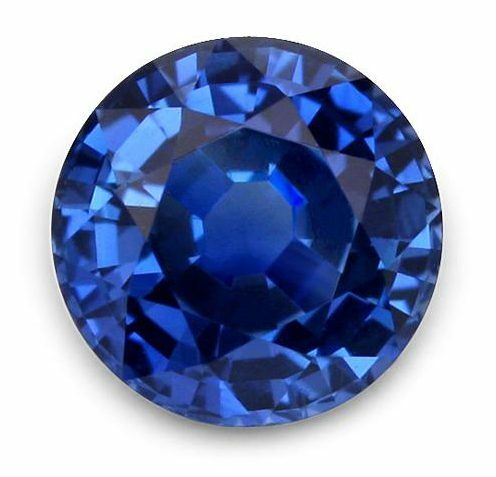 A deeply vibrant round blue sapphire from Thailand. Round Cut – also known as the round brilliant cut, this is the reigning most popular cut. 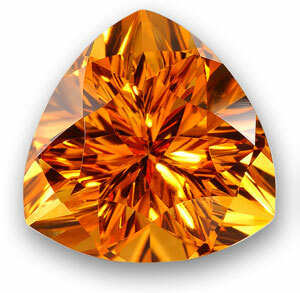 The facets are cut in a way to optimize the dispersion of light in a stone, this cut was once exclusively for diamonds. Trillion Cut – triangular in shape, this cut maximizes brilliance and gemstone color. Symmetry, angles, and proportions are crucial for dispersing light in this unique shape. Because they are cut shallow, they also tend to appear larger than their weight implies. The process by which a lapidary cuts and polishes a piece of crystal rough is intricate and very focused. The cutting process begins by selecting and sorting the various colors and qualities of the rough material. Large inclusions are cut out of the rough sapphire for better inspection and analysis. 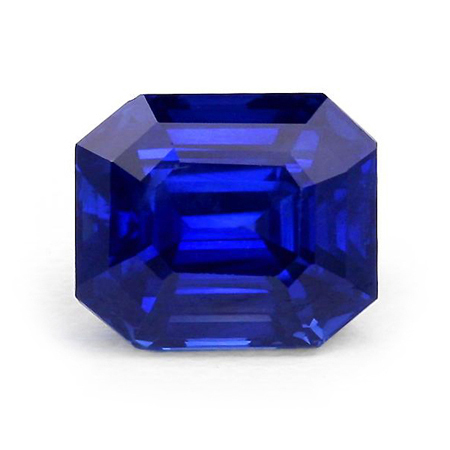 We pre-form our sapphire rough to the desired shape before we begin faceting the stone. After we shape the sapphire rough, we attach it to a cutting pin with special wax for faceting. Faceting a sapphire takes great talent and care. It takes decades to master this rare skill, and produce a beautiful cut that transforms the rough crystal into an extremely fine stone. The basis of the entire process is focused on light and color. 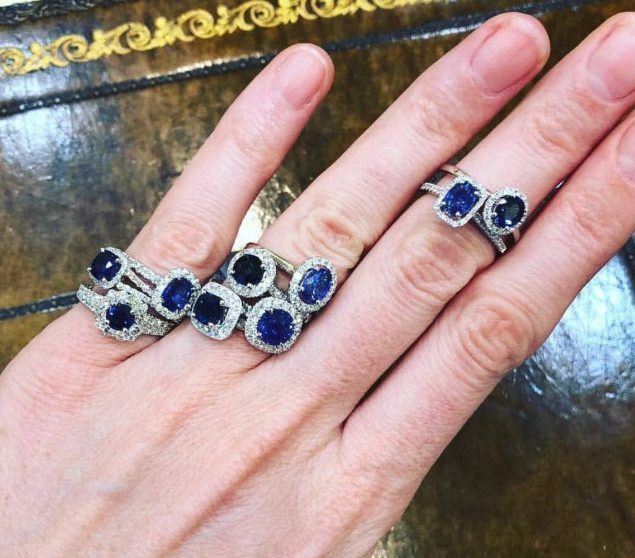 A selection of blue sapphire engagement rings with varying carat sizes. The size of a sapphire will have a good amount of influence over its price when compared to a smaller stone of similar attributes. 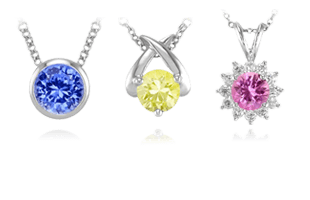 What follows is a breakdown of what to expect within certain carat size ranges. In Fine quality, these are quite rare. Medium to lower qualities are not very uncommon. In fine quality, these are difficult to replace. Medium to lower qualities are available but not in large quantities. In fine quality, these are very rare and almost impossible to match or replace. Medium to lower qualities are rare in this size as well. In fine quality, these are one of a kind; no two stones are the same and reliable supply is not possible to maintain. Medium to lower qualities are rare and difficult to obtain as well. 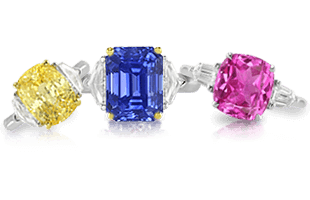 In fine quality, these are usually referred to as “Important” as they are always one of a kind, and extremely expensive in blue, pink, and rare colors. These stones are for the lucky and fortunate, not just the wealthy. Just to see these types of sapphires in person is a privilege. Now that we have covered the pertinent information on a gemstone’s cut, shape, and size, discover next about Drawings, Renderings, Metals, and Settings. 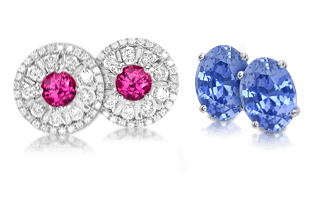 Sapphires 101 Natural & Untreated Sapphires About Us Sapphire Specialists, in New York City Since 1939.